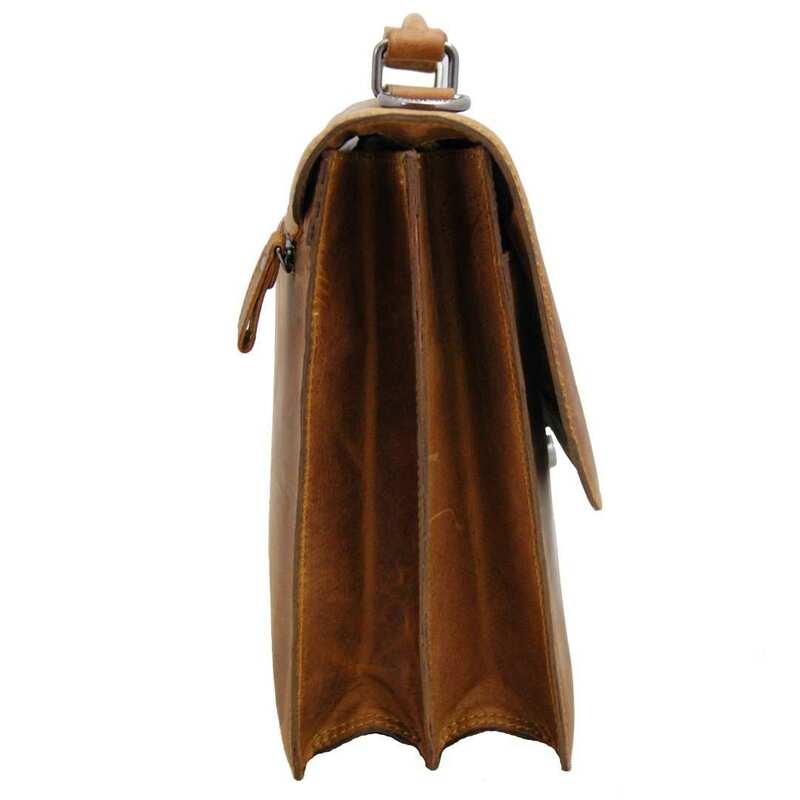 Product information "Briefcase ARCHIMEDES of Weideland-leather"
The briefcase ARCHIMEDES made of brown grassland leather is the perfect assistant for the daily business life and working travels. 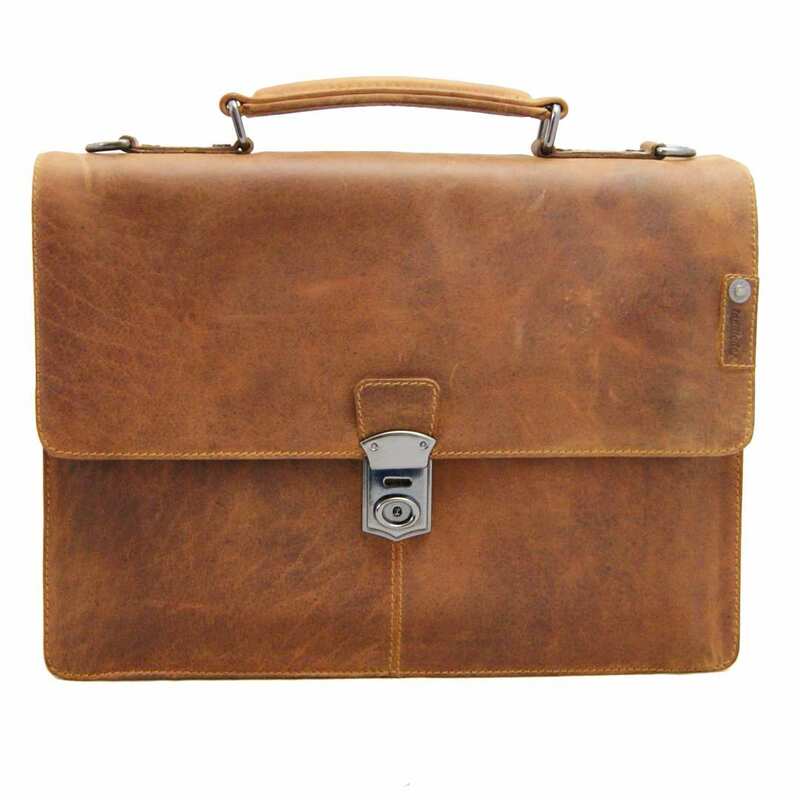 This briefcase made of fantastic brown grassland leather offers lots of space to store every important item you need in a safe and manageable way. 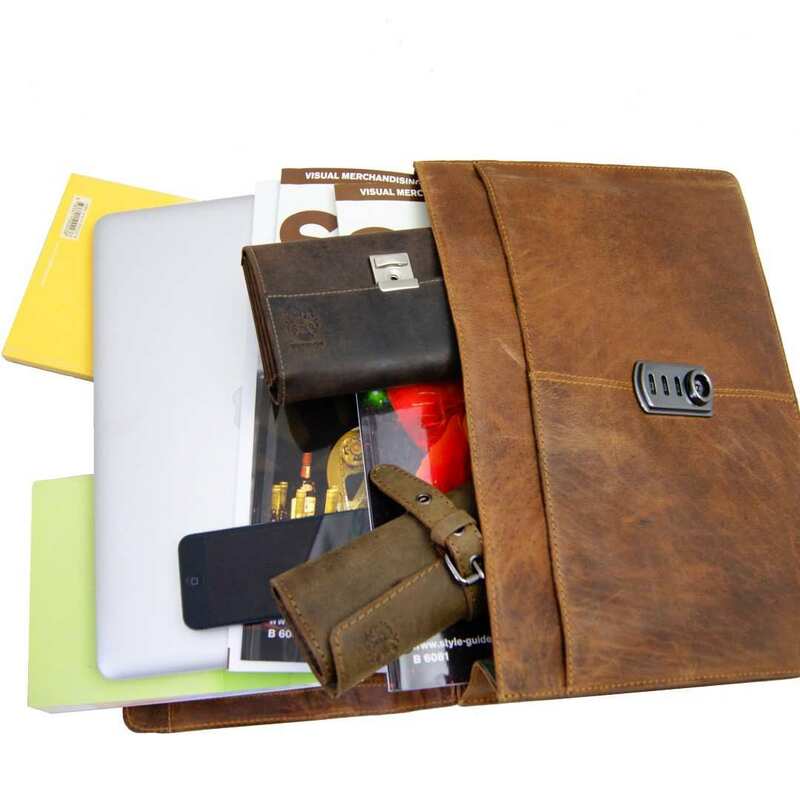 Thanks to its both main compartments and the functional inner pockets and pen holders, you will be able to arrange every kind of object in the fantastic laptop bag of brown grassland leather. The singularities of grassland leather turn every briefcase into a special and unique bag impossible to copy or imitate. 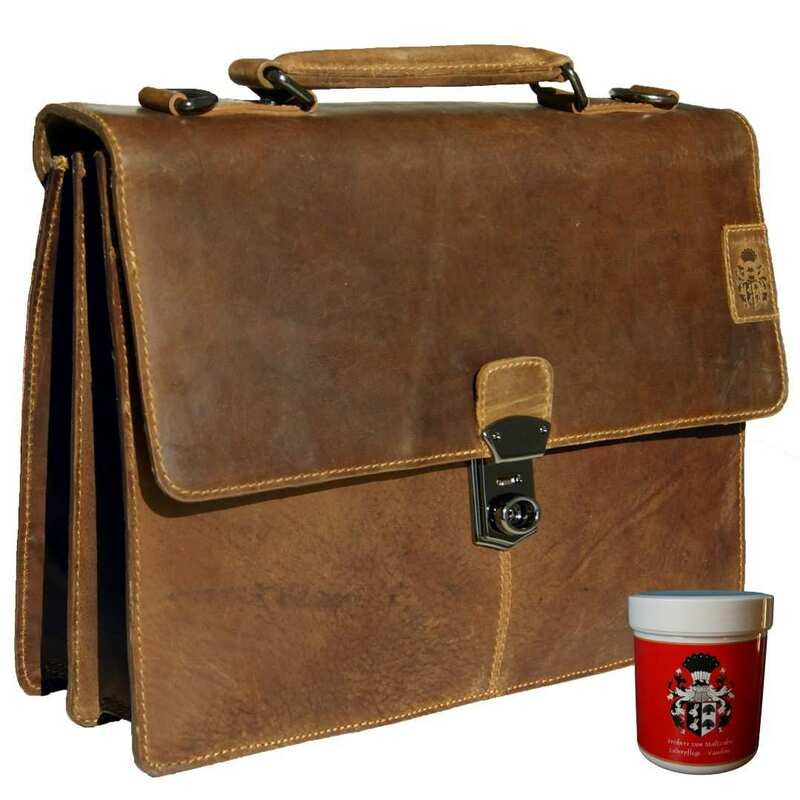 The laptop bag of brown grassland leather has a total size of 14 x 10.4 x 3.9 in (35.5 x 26.5 x 10 cm). In the inner section – which is protected by a fancy lining - the briefcase contains two wide main compartments and an extra zippered one in the middle, perfect to keep important documents out of other people's sight. This section also provides four visit card holders and two pen loops. 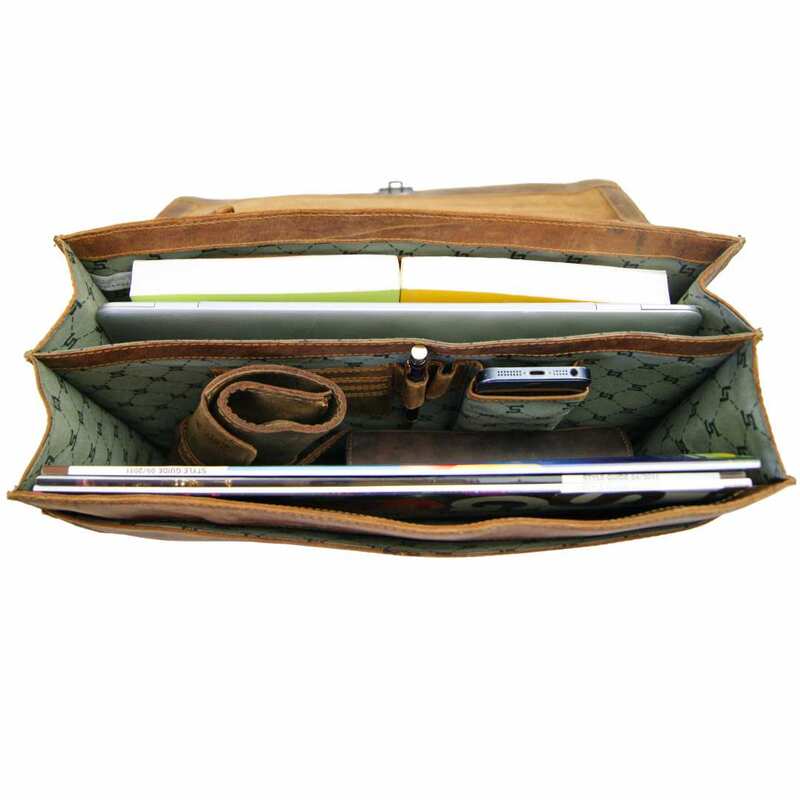 On the outer side, you will find a front pocket and further zippered compartments for your smaller belongings. This way, your items will always be well arranged and ready to hand. To obtain grassland leather, we have followed a traditional and historical tanning process. That way, the full natural beauty of bovine leather gains its complete splendor. With the daily use, some colour abrasions will appear on the surface of the leather, which will make of your briefcase a truly unique piece. The flexible zippered compartments and a stable closing buckle made of steel enable you to carry the content of the bag in a very safe way. 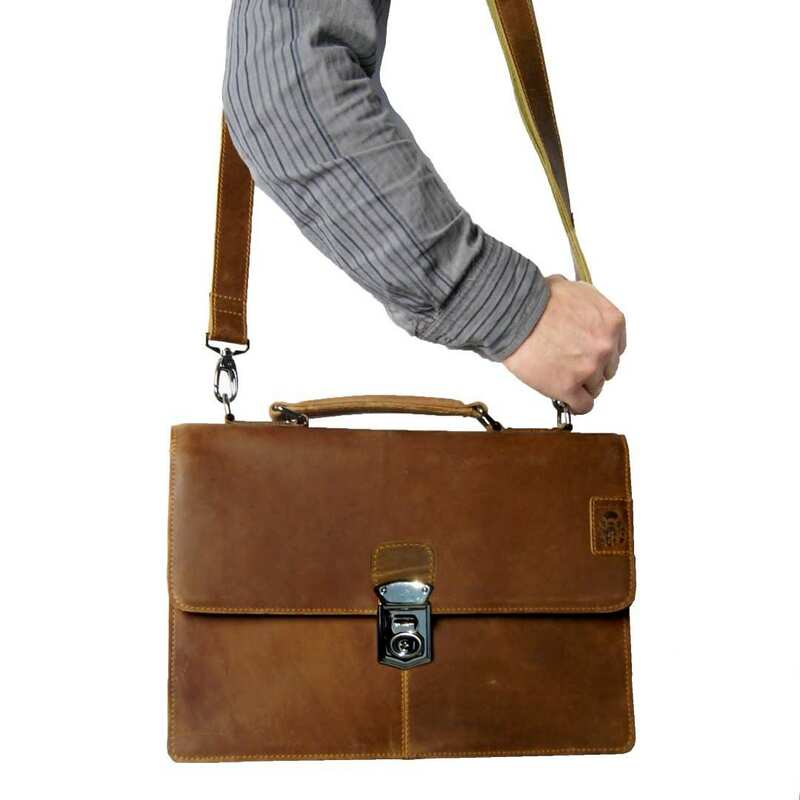 Hang the brown leather laptop bag comfortably over your shoulder by using the handy 63 in (160 cm) shoulder strap that can be perfectly adjusted to your preferred size. The valuable steel snap hooks help not only the shoulder strap to be safely fixed to the bag, but also to emphasise the elegant and sturdy appearance of this wonderful briefcase. Do not wait any longer and order now this excellent piece of the Collection BARON of MALTZAHN! Reviews for "Briefcase ARCHIMEDES of Weideland-leather"